"My mother and I began the gallery to meld my vocation and my avocation. I became interested in folk art when I was in the Peace Corps in the Central African Republic and wanted to do something to support village-based artists," Dyer said. Cadeaux du Monde does more than just sell fair trade items. It's all about education as well, including a "Cadeaux in the Classroom" workshop which presents a multi-dimensional international experience to students involving music, crafts, dress and discussions about various countries. The shop's missionis to be green as well as promote fair trade practices and products. All of its products are made by sustainable methods and most of them include recycled material. Recycled metals like scrap plumbing make up the brass for items around the shop. Cadeaux du Monde celebrated its ideals as it offers Newporters quality art and crafts. From Mumbai to San Diego, more than 40 nations celebrated World Fair Trade Day the second Saturday of every May. 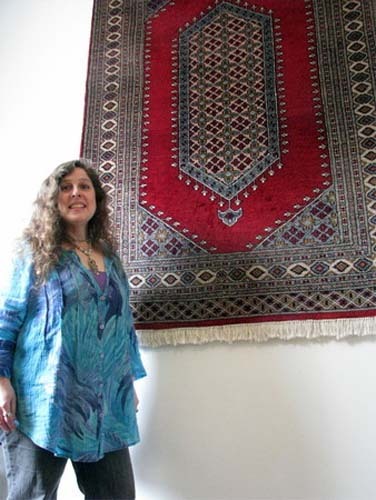 In Newport, Cadeaux Du Monde, or "gifts of the world," on Mary Street, which describes itself as "an eclectic fair trade international folk art gallery, "marked the day with an open house. Owner Katie Dyer said that she chose to celebrate by allowing herself time to chat with her visitors about fair trade and her shop, rather than schedule a specific event which might discourage people from dropping in at any time during the day. Cadeaux du Monde is Rhode Island's longest running green, fair trade folk art gallery, which features art and crafts from all over the world. The shop has been in business since 1987. "My mother and I began the gallery to meld my vocation and my avocation. I became interested in folk art when I was in the Peace Corps in the Central African Republic and wanted to do something to support village-based artists," Dyer said. She also showcases the work of local artists in its "Galerie Escalier," or staircase gallery. The exhibits there rotate, and currently feature a wide range of work, from Natalie Pfanstiehl's watercolors to underwater photography by Tom Freeman. The gallery for local artists has evolved over the years, Dyer said, because so many artists were customers and they could understand the need to be compensated fairly for their work. At first she showed some sculptures in the garden at her shop on Bellevue Avenue, but when she moved, she committed a full area of the shop to the artwork. 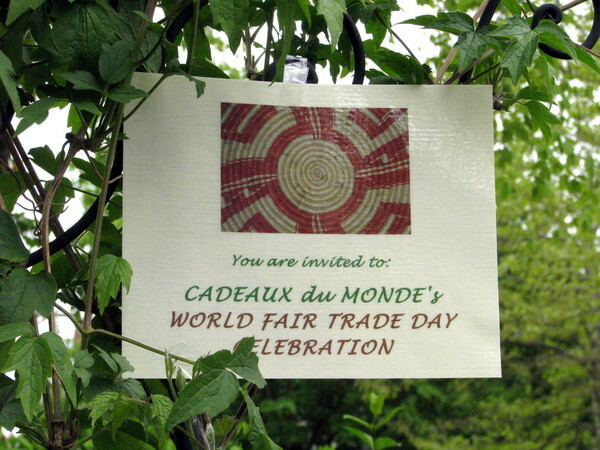 Cadeaux du Monde also hosts a variety of gallery demonstrations, such as making chainmaille jewelry, paper cutting, and the art of assemblage. Dyer said that she likes hosting the workshops because they connect the public to the artists who create the work. "We get so distant from art works that we forget they're made by people and not factories," she pointed out. "I hope that after they've seen the demonstrations, some people will be inspired to try the techniques on their own." Cadeaux du Monde does more than just sell fair trade items. It's all about education as well, including a "Cadeaux in the Classroom" workshop which presents a multi-dimensional international experience to students involving music, crafts, dress and discussions about various countries. The shop's missionis to be green as well as promote fair trade practices and products. All of its products are made by sustainable methods and most of them include recycled material. Recycled metals like scrap plumbing make up the brass for items around the shop. The shop's front garden is a National Wildlife Federation Certified Wildlife Habitat, since it does not use pesticides, and provides wild food, water, and cover for the birds and other creatures that thrive there. Dyer urged Newporters to support the mission of Cadeaux du Monde by becoming more aware consumers and buying carefully and thoughtfully.